jects than anything relating to new financing, fresh money or other types of borrowings. Once this legacy disappears through restructuring, resolution or a similar complicated process, the Ukrainian financial industry would experience rebirth. Over the past few years, Ukraine has faced economic instability caused by various external and internal political factors, banking capital outflows, and devaluations of the national currency. As a result, a significant number of borrowers of the commercial banks defaulted on their loans, and the ratio of overdue debt in the Ukrainian banking system has grown substantially. Since 2014, the level of NPLs in the banking sector has tripled. At present, the ratio of the Ukrainian banks’ NPL to total gross loans is approximately 57% and amounts to almost UAH 630 billion (c. USD 24 billion). This is well above the NPL ratio considered normal for developing countries. State-owned banks accumulated two-thirds of the total NPL volume of the banking sector with over 71% of their loan portfolio being recognized as non-performing. Further, as reported by the National Bank of Ukraine (NBU), 97% of the overall NPL loan portfolio of Ukrainian banks account for the 40 largest Ukrainian corporate borrowers. Despite recent adoption of the Law of Ukraine On Financial Restructuring seen as a solution to the non-performing assets issue for the banks, no resumption of more active corporate lending by the commercial banks may be expected as long as the current high NPL ratio continues. Owing to regulatory uncertainty and lack of a proper NPL market in Ukraine, many Ukrainian banks are struggling with selling their NPL portfolio and prefer to hold NPLs on their books. At this stage, the banks set aside larger provisions for low-liquidity assets they hold, but these reserves are sometimes not sufficient to cover loan losses. With no actions taken, the high NPL ratio will further reduce Ukrainian banks’ profitability, negatively affect their credit supply and growth and damage external credit ratings. Thus, the reduction of the NPL share in the banks’ balance sheets is a crucial condition for the resumption of active corporate lending, and launch of new banking products facilitating such lending. Some banks seek to manage their non-performing loans internally by entering into direct negotiations with the borrowers. Such negotiations are not always successful and often very stressful for the bank and borrower. Given that asset resolution is not a normal banking business, such assets would normally need to be transferred to professional market players whose main business is non-performing loan resolution. Ukrainian law permits banks to sell their loan portfolio by means of assignment of rights. However, given certain ambiguity, and the somewhat formal position of the tax authorities, it is uncertain as to whether loan claims may be assigned with a discount. As a result, some Ukrainian banks, especially state-owned banks, prefer to assign their NPLs at par value. That said, the practice of discounted sales of NPLs has become more common in recent years, especially in sale of NPLs by the Deposit Guarantee Fund (DGF) as the specialized institution dealing with loan portfolios of insolvent Ukrainian banks. Having in mind the above uncertainty, Ukrainian banks tend to sell their NPLs to factoring companies. Such transactions are not in line with the nature of the factoring companies’ business, which is lending directly to the companies to quickly finance working capital and purchase of receivables from such borrowers. As a result, unusual factoring practices have been established in the market, as factoring companies focus on the bank’s non-performing assets and cleaning up balance sheets of toxic debt of commercial banks, rather than on their primary role of financing trading and other commercial operations. If an NPL is transferred from a resident lender (i.e., Ukrainian bank) to a non-resident investor, such investor must register itself as the new creditor. Historically, only Ukrainian borrowers could initiate such a registration and, as a result, lenders were always dependent on the cooperation of their borrowers in order to be properly registered by the NBU. This made it difficult for a lender to transfer its rights under a cross-border loan to a new lender, particularly in the case of an NPL. However, starting from April 2017, the procedure for registration of cross-border foreign currency loans was simplified and foreign lenders were expressly allowed to initiate loan registration of the change of a lender under a cross-border loan without cooperation from a Ukrainian borrower. These long-awaited developments were positively received by the market and were seen as an additional step towards simplification in trading in loans and NPLs. In addition to the above, if a non-resident investor were to purchase a loan from a Ukrainian lender, such loan would need to comply with mandatory NBU requirements. In particular, the NBU sets statutory caps on all payments other than repayments of principal under a cross-border loan, including a loan originating in Ukraine and further transferred to a non-resident investor. Further, for a local Ukrainian investor, or a Ukrainian subsidiary of a foreign investor, to collect receivables in foreign currency under a foreign-currency loan, they must first obtain an individual NBU licence (permit) allowing them to operate with and collect receivables in a foreign currency in Ukraine. No such restrictions, however, should apply to collecting receivables in the local currency under loans denominated in the local currency. Starting from mid-2014, lenders were temporarily prohibited from enforcing and assigning any residential mortgage loans in foreign currency. As a result, Ukrainian banks must continue holding these ’toxic’ assets on their balance sheets until the restriction prohibiting the assignment is lifted. Notwithstanding numerous restrictions and uncertainties in the existing Ukraine regulations, there have been some promising developments which are aiming at resolving the NPL burden of Ukrainian banks. Despite having many positive features and being generally recognized as market-friendly, the recently adopted Law of Ukraine On Financial Restructuring law remains unpopular among Ukrainian corporate borrowers that account for the majority of NPLs of the Ukrainian banking sector. One of the reasons could be that the law requires each such borrower applying for financial restructuring to prove the viability prospects of its future business activities, which does not seem possible for most of the borrowers. That said, those borrowers who successfully prove the viability of their business operations could fully benefit from the debt restructuring mechanisms set out in the law. The NBU, in cooperation with international financial institutions and financial market participants, has developed a draft law On Debt Resolution Activity aimed at resolving the NPL issue of Ukrainian banks. The draft law proposes establishing asset resolution companies (ARCs), which will operate as separate financial institutions to be dealing with NPLs. ARCs will focus primarily on purchasing, restructuring, managing and selling loan portfolios, both performing and non-performing. The draft law is also expected to provide temporary tax incentives to both the banks selling NPLs and the ARCs purchasing NPL portfolios. Amendments to factoring and assignment regulations will also be introduced to make these instruments more beneficial for the market participants. 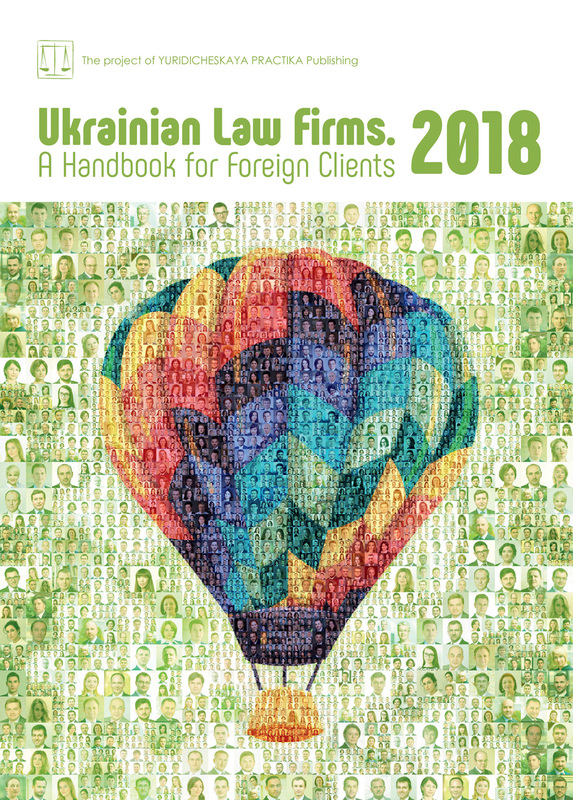 The draft law has received strong support from Ukrainian regulators, international organizations and market participants and is expected to be put to the vote in 2018. The President of Ukraine has recently submitted for consideration by VR the draft law On Currency aimed at introducing free movement of capital in Ukraine based on the relevant EU directives. Seen as a major step in Ukrainian currency control regulation, the draft law is expected to lift the majority of currency control restrictions imposed by the NBU in the last two decades, including the cumbersome requirement of registering cross-border loans with the NBU which impedes foreign investors’ ability to buy Ukrainian NPLs. The draft law will hopefully be put to the vote in 2018. Foreign investors, including major international institutions, are seen as having a strong interest for investing in NPL portfolios of Ukrainian banks and the DGF, provided that clear and transparent rules of doing business in Ukraine are established. This includes setting up necessary preconditions for future investments in the Ukrainian NPL market and the increase in the aggregate volume of NPL trades. Ukrainian legislation keeps constantly evolving, and dealing with distressed corporate debts in Ukraine is still a battle fought mostly by well-prepared and brave investors. Thorough legal due diligence, painstaking drafting of the transaction documents and sound legal strategy are the rules for success in such battles.